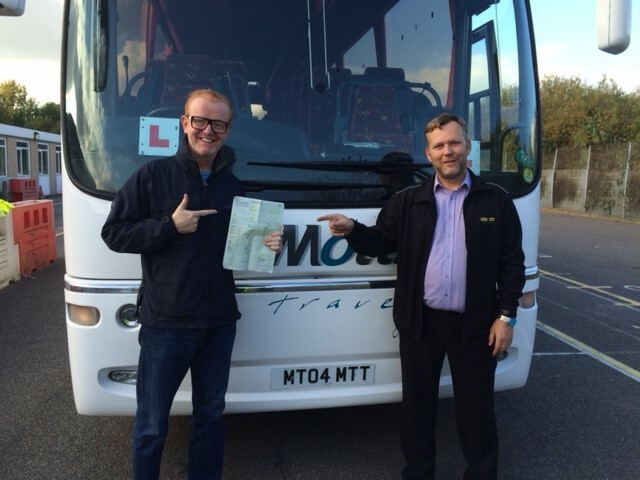 Motts Travel of Aylesbury in Buckinghamshire has trained The One Show hosts Chris Evans and Alex Jones to obtain their PCV Licence. The training was in preparation for an event in aid of Children in Need, which will see the pair take part in the London to Brighton classic car rally in a vintage bus. The seats have been auctioned off and all proceeds are going to the charity. 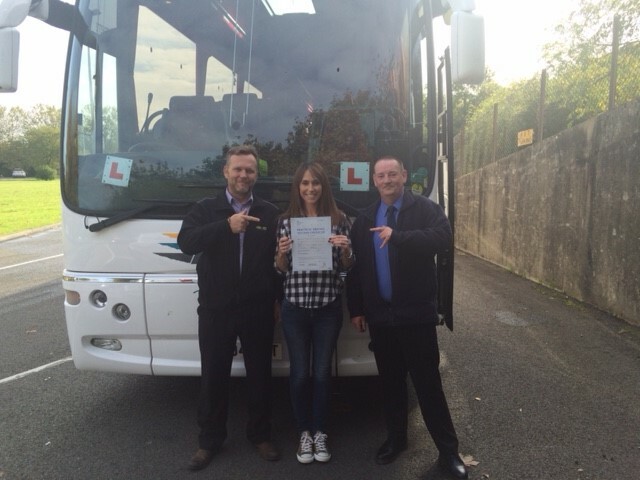 Training & Development Manager at Motts Travel, Richard Jones, along with his assistant Martin Cowey, commenced the training on the 25 August. Once or twice a week they met Alex and Chris in a car park in Acton, north London, with the training progressing into driving around Islington and Uxbridge. Their driving test was carried out on 20 October 2015 in Yeading and both passed first time. They also obtained their Driver CPC qualification. The initial contact with Motts was due to an association with radio hosts, Ken Bruce and Steve Madden, who both undertook their Driver CPC at Motts Training school in 2013.